This instant messaging application is released in the year 2010 initially attracting 4 million users over all. Later in the year 2016, the users of kik app have been increased to nearly over 300 million users. This app can be used as an alternative to e-mail with which users can able to send messages to their friends, share photos, videos, emoticons, GIF’s, and etc. This uses any data plans or Wi-Fi connections to get connected with others. Kik App users have an option that, whether the kik app can access the address book of the users or not. This app also allows to blocking any anonymous persons if necessary. It also has an option to show mobile numbers of the user to their contacts so that the contacts can able to contact them by any means. Whenever a user types a text to his/her friend and expecting the reply, they can see whether their friend is typing reply for their message or not. It also has an option of showing the user, whether their friends have read the text sent by the user. So, it helps the user to gather knowledge regarding whether their friends are in online or offline. The invitation to use this kik app can be sent via SMS text message or email or facebook or twitter, etc. When the both the user and his/her friend are both in online, this app will send a notification regarding the availability thus by making them have a conversation with each other. Users can send multimedia messages, GIF’s, videos, photos, etc. to their friend thus by allowing them to have a lively chat. Kik App allows users to have a group chat with others thus by making the users more entertaining. The users have to tap on the search icon and then select the “Start a Group” option thus by adding the contacts in the group. These codes let the users connect with their friends automatically by scanning the kik codes (which is a unique code) and can send the messages to their friends. This app allows users to customize their chats to choose their own color for the chats. This will help the users to know that, from which users the text has come by this customization option. Using this option, the users can customize different colors to different users in their contact list. This app offers users with kik browser to surf the internet, play the games, also can able to share the links, and can meet new people. Thus by tapping at the bottom of the conversation tab (check for a globe label which takes the user to kik browser), the user can able to surf the internet. Other Options – There is an option “Promoted Chats” will allow the user to chat about any common suggestions or discussions on any topics of their interest. This instant messaging application will allow the users to have a conversation with their friends in the real world. This app can be used by Android mobiles, windows phone, and iPhones (also at iPod or iPad). This is similar to SMS texting but with a little difference that, this app needs a data plan connection or Wi-Fi to connect with their surroundings. Providing lot of best features, this app is now used by more peoples in the today’s world thus by making it popular. 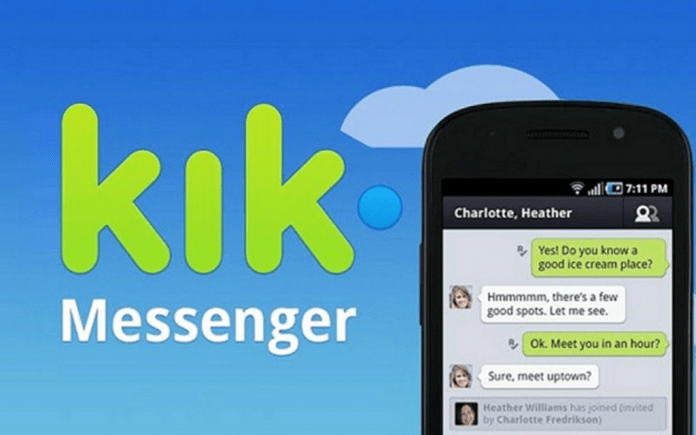 Hope, this article benefit the users to gain the knowledge regarding Kik Application.